Soham Whispers But Loudly !!! We were planning a Hawaii trip since long but somehow we were not able to finalize anything. But one fine day, out of nowhere along with our other friends, we decided to hop on to Hawaii for a week long vacation. Leaves got approved and even the air-fare was fitting in our budget. So now we had no reason to step back and we went ahead and finalized everything. As you know Hawaii is made up of 8 islands. But due to time constraint, we covered two islands Big Island and Maui ..
I’m sharing my complete itinerary so that you can enjoy as much as I did and also one can get a fair idea about what to do, where to stay and how to enjoy in Hawaii.I would say that one’s real experience gives better idea than reading a book on Hawaii. We flew on 3rd Sep (Saturday) from San Jose to Kailua-Kona (KOA) – BIG Island. We reached BIG Island at arnd 10 AM. Big island is less scenic. As such no activities there. BIG Island has only volcano national park as the main attraction. One can plan to cover the whole of the island in two day. First day, in the evening we went to volcano national park to see glow show. After sunset, the smoke that comes out of crater looks golden. It surely was an amazing sight. second day – we again went to volcano park and did some hiking which takes you to the ground where lava has dried up and you actually walk on dead l. Your hiking ends with lava tube (a tunnel kind of thing which has dead lava). The hiking was of arnd 6 Mile total and the most astonishing part bout it was, it was circular hence you dont come back to the point from where you have started the hike via the same route. You start at a different route and come back to thatstarting point via a different route. So no repetition of sights. That was amzing. Also visited, black sand beach. Due to active Lava pouring into ocean few decades ago, the ash has turned the ocean sand into black color. Also we saw some huge turtles taking a sun-bath near the shore. P.S: Volcano National Park has very good visitor center where some volunteers can appropriately guide you as per your timeline, schedule and interests. If you guys wanna do some real and tiring hike then green sand beach is the best beach out there. 1st night we stayed in La’i Aloha House which is near Volcano park to avoid commute..
PS: Big Island is definitely not the island to relax. Monday 5th September, we flew from Kailuia-Kona(Big Island) to Kahului(OGG), Maui. It was a 9 seater plane just like charter. Flight time was arnd 1 hour. Unfortunately, we had to pay some extra bucks for the luggage. We were not informed about it when we first booked our tickets. So be ready to shell out few pennies if you are doing island hopping by air. Maui is a definite place to relax and enjoy.Good scenic beauty, good beaches, great waterfalls. Hana drive – Scenic Drive with beaches, mountains, water falls. Many vista points to cover so before going there, plan which vista points to cover/stop on. A convertible car is a must to enjoy the scenic beauty and the sun of course. It will surely take one full day of your itinerary. Snorkeling (fish/turtle watching) – We chose pacific whale foundation as our snorkeling company and we had some awesome time with them. They took us to an island in the middle of the ocean called as Molokini Crater and guided us with all the Snorkeling equipments and procedures. My wifey who is hydro-phobic, they taught/trained her with so much of patience,concern and care that she even came with me deep down and enjoyed watching different colourful fish. That was the first time when she really swam in the water. She had the same kind of experience and feeling that Hritik had after his scuba diving in “Zindagi Na Milegi Dobara”. I’m really thankful to pacific whale foundation and its crew for making my wife less hydro-phobic. Halaekala Mountain/National park: Here, we selected Haleakala Bike Company as our bike company. You have to wake up at 2 in the morning and report it to your bike company at around 3. They will take you to the crater which is like 10,000 feet above the sea-level. Then you see the mind boggling sunrise as you are standing above the clouds and as the sun is coming out, it highlights golden border of clouds. What an amazing sight that was .. It was chilling but then once the sun strted coming out, we all forgot about the cold and we were just enjoying the beautiful sight. After that you get on your cycles and come down from 6000 ft to ground. As it’s a downhill, you dont have to pedal anytime – just the brake and steering. Awesome fun. Midway, you find some restauarants fro breakfast. It was around 27 miles but it took us arnd 3 hours with breakfast break. Apart from these activities, we just chilled out at beaches / pools of our resort. There are hundreds of options to stay in Maui. So any resort with 4 start rating and a good deal would suffice your luxurious stay requirement. After completing Maui, We came back to Bay Area while our other friends went to Kauai. Most scenic island of the three. Less commercialized yet. Dinner cruise to Napali coast which also included whale and dolphin watching. Helicopter ride to Napali Coast. There is a beautiful shiv temple you can visit. Zip Lining – I can get you the details if you are planning for it. There are many look out points, hiking trails, canyons on the way. You can do mountain tubing, Kayaking if time permits. It was a memorable trip for all of us. We enjoyed it thoroughly. I hope you guys too have enjoyed reading my experiences. I feel really lucky to be writing a post on my blog as my blog was hacked and was turned into a complete disaster. I had not played with any of my wordpress setting or config files so I was perplexed to encounte this error message.I had this gut feeling that my website is compromised and some malfunctioning script must have been inputted by hackers. So as an avid forum-person that I am, I asked a simple question describing my error message and code of wp-setting.php file to wordpress forum and within a blink of my eye, I got a reply with definite YES that my site has been hacked and it’s been going through millions of websites/blogs running with WordPress platform. There are many kind hearted souls in this world who helped me day and night to recover my website, backup my posts/comments, cleaning the malfunctioning scripts and restoring the database and making my blog what it was before. I really cant express my gratitude towards them in words. Always take backup of your database(posts/comments) and of your wordpress theme setting so that you don’t have to start from scratch if something goes wrong. Take backup at regular intervals – may be every 15 days. After that, uninstall your wordpress application. Install it again. Restore your theme from your backup using FTP client. Restore your database of posts and comments. Well, this is my first post on this blog and I could not express in words how thrilled and excited I’m to begin with ! I m hoping to be quite active with frequent updates 🙂 .. I have also imported all my old posts from blogger account so you can also visit my old posts from this blog only .. This blog and its design is still under construction so you may notice frequent changes once I finalize everything. Wish me luck for my new beginning – new start ! To explain what happened, I need to go back to my teen days in the year 2000 .. I just had appeared for my HSC(12th std exam) and when I went back home after my last exam, mom-dad gifted me a mobile .. Mobile was Nokia and the service was of CelSuvidha .. It was a prepaid card .. At that time, outgoing call used to cost RS while incoming calls RS 3 for that matter .. It was an expensive gadget to play with !! When I returned from US for good and started my job in Mumbai, I still continued my Ahmedabad number .. So now I had two numbers – one from Ahmedabad and one from Mumbai .. Both from VodaFone as I really had no problem whatsoever till now .. So I googled the names and emails of the Nodal Officer of VodaFone of Gujarat/Ahmedabad circle and I emailed him my pain and agony of losing this number and my emotional attachment to it .. Companies in India re very well known for their anti-customer approach but I had this mysterious kind of hope in some place of my heart that I may get lucky here !! And the magic happened .. Mom got a call from VodaFone executive and she told her that they have received an email from me and they are trying their best to locate the number .. And mom being so passionate about whatever she does, she just followed up with the executive for 2-3 days and as she was getting proper response from the executive, she became hopeful too .. One of my close friends Shridhar who was working for Idea cellular few years ago too helped me as he had many contacts in mobile arena .. Hence after 3 days, that executive called mom and asked her to go to any VodaFone store and asked her to recharge the card so that they can activate it again on my name .. VodaFone Nodal officer also replied to my email confirming the same .. After recharging it, mom called me from the same number and I was so happy to see that number flashing on my cell ..
A small email requesting to activate my number after I lost it completely had done the trick .. And it is not possible if we don’t have such customer-friendly, customer-caring people in VodaFone .. This is just unbelievable for me to even think of .. I would like to express my gratitude and a big thanks from the bottom my heart to Ms. Maulika Chandramouli (Nodal Officer VodaFone) and Ms. Jigna Raghwani(Executive who called Mom) for their cooperation, help and support throughout .. Without you guys, my happiness would have not been possible .. You have brought a smile on someones face- may god bless you both !! Last Sunday, I went to Ahmedabad from Mumbai to cast my vote in Ahmedabad Municipal Corporation election. Along with Ahmedabad, five other cities too were observing civic polls including Surat, Vadodara, Rajkot, Jamnagar and Bhavnagar .. The way dissatisfaction and disappointment have been shown by BJP workers for the ticket distribution, it seemed that this election will be an uphill task for BJP as BJP had captured all six municipal corporation five years ago .. So it was predicted that anti-establishment, anti-incumbency and demotivated BJP workers may make BJP’s win very tough .. But this guy named Narendra Modi has this uncanny knack of surprising people and crushing his opponents .. He went to public with one and only one agenda and that is the development and progressive work that he and his government are doing since last 10 years of his regime .. And he was not made disappointed again by people of Gujarat .. People of Gujarat has again shown faith in NaMo and BJP .. The results were out today and BJP has won all the six Municipal Corporations (Ahmedabad, Rajkot, vadodara, Surat, JamNagar and Bhavnagar) with thumping majority .. Urban voters of Gujarat has given clear mandate to BJP and NaMo .. Congress is stunned and crushed .. Congress has no escape route and it might have to do some rigorous soul-searching to save its very existence in Gujarat .. Despite of the relentless attack on and slanderous campaign against Narendra Modi by electronic media, Congress and BJP-Rebels, he has always come out winner time and again .. Under his leadership, Gujarat has taken giant strides as far as development, infrastructure and progress are concerned .. He has made Gujarat one of the foremost progressive states .. Even the Planning Commission has praised the Gujarat government for the judicial way of spending the money allotted to that state .. He has created confidence in investors in various projects that Gujarat is a safe place for investment .. He has proved this definition ‘Good Governance is Bad Politics‘ wrong again and again ..
Narendra Modi is one of the most articulate, intelligent and gifted public servants currently in office in India. Without a doubt, the credit for Gujarat’s progress and development goes to NaMo .. We Gujjus owe him a huge debt for his courage, tenacity and dedication in putting Gujarat back on its feet after earthquake and godhra-riots ..
Hello all .. I’m back to my blog after almost 4 months .. I really had faded in oblivion .. Work and hence life is keeping me very busy and I’m also facing a huge writer’s block .. But I guess Krishna Bhagwan came to my help to subside my writer’s block ..
I’m not gonna write a whole new post but on this holy and pious evening, I would like to share one of my old posts which I wrote two years ago on the same day and almost at the same time ..
Yeah, it’s time to celebrate Janmashtmi (Gokulashtimi) .. It’s 11:48 PM right now and at the stroke of midnight, our own Lord Krishna will take a birth this year once again .. Well, I am feeling so religious right now and I am so excited for the birth of Krishna Bhagwan .. Lord Krishna is one of the most prominent gods of Hinduism and he is worshipped all over world wherever there is a Hindu population .. For me, being a Vaishnav, Krishna Bhagwan plays a very important role in my daily life .. Every morning when I wake up or Every night before I hit the bed, it has become my common routine to say ‘Jai Shree Krishna’ (Long Live Lord Krishna) .. When I hang up the phone while talking to mom-dad or other relatives, last statement I say is ‘Jai Shree Krishna’ .. While welcoming guests at our home, we greet them saying ‘Jai Shree Krishna’ .. So my day starts, continues and ends with ‘Jai Shree Krishna’ .. I am back .. Watching Krishna Janam(Birth) live from his birthplace Mathura on Sanskar Channel !! .. Enjoying it !! ..
Well, Krishna Bhagwan’s character has always fascinated me .. He is that kind of God with whom any human being can connect him/herself very closely .. I feel that all other gods are just too ideal and faultless .. You just worship them as gods but for Krishna, you feel worshiping him more as your friend, philosopher and guide rather than a God .. The stories of Krishna’s childhood and youth tell of his mischievous pranks as Makhan Chor (butter thief), his foiling of attempts to take his life, Raslilas with Gopis, teen-age crush on Radha and his role as a protector of the people of Vrindavana. So you feel that you are connected to his character very much and all these pranks you must have undergone once in your life time for sure ..
During the Kurukshetra war of Mahabharata, upon arriving at the battlefield, and seeing that the enemies he would soon fight against were people close to him prior to the battle, Arjun becomes doubtful and skeptical about fighting. Krishna then advises him about the battle, about the dharm-adharm, about relation and duties, with the conversation soon extending into a discourse which was later compiled as the Bhagwad Gita .. Bhagwad Gita depicts a perfect and optimal way to have prosperous, affluent, peaceful, healthy, wealthy, effective and efficient life .. I recommend you all to go through Bhagwad Gita once irrespective of your religion, region, cast, creed .. Rather than connecting Bhagwad Gita to Hinduism, basically it is considered related to life’s philosophy and a manner or method to live your life and to apply the best approach for the same .. It just shows and explains some phenomenal concepts which everyone must at least go thru ..
My SMS inbox is pouring with SMSes from my friends-relatives wishing me Happpy Janmashtimi so let me get back to them .. Happy Birthday Krishna Bagwan !! Happy Birhtday Gujarat and Maharashtra !! So it’s 1st May again .. But this year 1st May has double importance .. Because in 2010, both Gujarat and Maharashtra are completing their 50 years of foundation .. A Swarnim (Golden) Jayanti (Jubilee) for both the progressive and highly successful states .. So I am feeling an immense pleasure in wishing Gujarat and Maharashtra a very happy birthday..
Narendra Modi – the CM of Gujarat – has planned several Swarnim Gujarat events to celebrate this auspicious day .. As usual, Congress has shown a red-face to these functions and they are celebrating Gujarat Day on its own .. Poor politics and poor congress who even does not have a single leader in Gujarat who can stand shoulder-to-shoulder when it comes to charisma and good governance of Mr. Modi ..
1. Gujarat is one of the most prosperous states of the country, having a per-capita GDP 3.2 times India’s average. 4. Gujarat is having the highest no. of operating airports in India (Total 12). 5. India ’s 16% of Investment are from Gujarat . 6. Surat is the fastest growing city in the world. 7. Gandhinagar is the Greenest Capital City in whole Asia . 8. Indian Institute of Management, Ahmedabad (IIM-A) is Asia’s 1 st and world’s 45th ranked management college located in Ahmedabad, Gujarat . 9. Gujarat is the safest state as the Crime rate of it is 8.2 which is the least in India even after considering 2002 communal riots, stated by India Today 2005 report. 10. Gujarat is having least crime against women among all Indian states (excluding Goa). 11.Ahmedabad which is the seventh largest city in India is the lowest in crime rate among all Tier-I and Tier-II cities of India as per National Crime Records Bureau (NCRB) report. 12. Ahmedabad is ranked 2nd in Real Estate – Ahead of Bangalore,Chennai, Hyderabad, Mmbai & Delhi. 3rd in Policy Initiatives – Ahead of Bangalore , Chennai, Kolkata , Mumbai & Delhi. 4th in Manpower – Ahead of Bangalore ,Chennai, Mumbai & Delhi. 13. 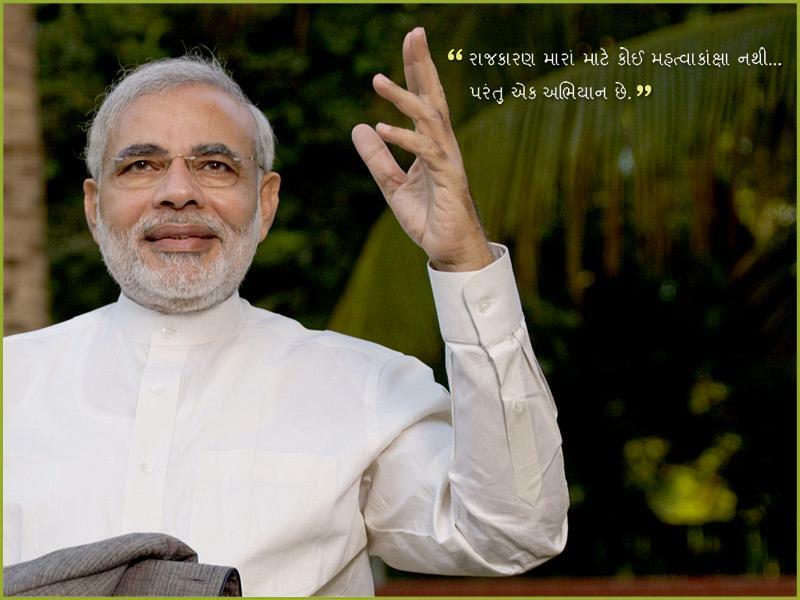 Last but not the least, Gujarat has NARENDRA MODI as its chief-minister. Once again a very happy birthday to Gujarat and Maharashtra..Nobody can stop you from growing and flourishing…God bless you .. Proud to be a Gujju and a Mumbaikar !! Sudden Vacuum in Life !! Hey Folks .. How is it going ??? Well, I wrote my last post exactly on the day when IPL started and now this post exactly on the day when IPL has ended that too in a very disappointing manner with all the allegations, scandals and other off-field incidents .. This IPL was special to me as I saw opening ceremony, closing ceremony and one other match(MI vs Deccan) at D Y Patil Stadium & one match (Royal vs KKR) at Motera, Ahmedabad .. I may sound like a maniac but I’m not able to imagine a life without IPL .. I may take some time to come out of this sudden (not really !!) shock .. Since last one and half months, at this time I was just glued to my idiot box watching and enjoying IPL matches .. But now IPL is over and I feel like I have lost a dear and close companion of mine .. Yesterday since 8 PM, I am feeling like something is missing in my schedule .. This was the charisma of IPL .. It really made me(us !!!) addicted .. I hope that all other cricket fans are also passing through the same phase and also suffering from the same ‘missing-IPL’ syndrome .. But no matter what, I’m not gonna watch Indian Idol series yet again with all the melodrama and less talent ..
Before I again fade in oblivion, I would like to thank Mr. Lalit Modi for such an amazing tournament and such a grand execution of it .. It made Cricket and thus in return, India a global brand .. IPL may not be L.Modi’s idea but he surely has executed and planned it with perfection .. It’s really sad to see him go like this .. But I feel he’s a fighter and he will fight the battle bravely .. At least he should take down other culprits with him .. I’m not sure whether IPL – 4 will take place or not so this year I enjoyed IPL as if there is no IPL next year ..
Yipeeeeeeeeeeeee !! .. What more an ardent and avid cricket fan like me can ask for ?? .. IPL is going to commence from next week and that too in India .. Wow !! .. I’m so much excited !! .. Whether you call it “Indian Premier League” or “Indian Paisa League” or “Indian Pawar league” but it certainly has created hype and interest among the cricket lovers all over the world .. Huge money involved .. So much glamor involved but most importantly so much of thrill and excitement are involved ..
By the way, this time once again, there is no team from Ahmedabad in IPL .. So I will be cheering for Mumbai Indians because Mumbai is my work place .. It’s the city which gives me my bread and butter…My Karm-Bhoomi .. Another obvious reason is the presence of almighty himself – Sachin and Jayasurya in the team .. So now Everyday at 8 PM after coming to office, I will stick to my TV ignoring the bunch of activities and people !! .. It is awesome to watch so many different players of different nationalities get togather and play as a unit .. I hope I will have a gala time in future ..
It’s a website where Members can create a profile and receive a Fantasy Budget to create their own ‘Fantasy Cricket Team’ of 11 players of the IPL .. This Fantasy team will then receive points based on the real life performance of the players selected .. Every member will be allowed to enter one team only .. More details about the game, you can heck out on the website that I have mentioned ..
And more importantly, there are grand prizes are also to be given .. The team with the highest total score after the league is finished will win a cash prize of $500. Second prize is $300 and third is $200. The best team each week will win an IPL cricket shirt of their choice .. Wow, I’m surely gonna rock this time .. So guys subscribe for it and have a ball out there while watching the IPL .. It sounds like a real fun ..
All the very best to Mumbai Indians and I hope they win this time ..